The Submix provides a simple and effective method for summing up to four audio signals into one channel of a 500 series system. Four conveniently located ¼" unbalanced inputs are built into the front panel of the Submix, with separate level controls for each input for easy manipulation. 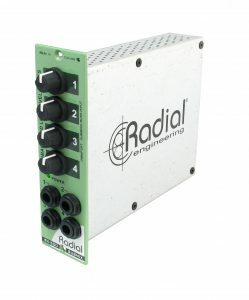 These are equipped with Radial's unique dual-gang AccuState circuit that simultaneously sets the input sensitivity and the gain to maximize signal-to-noise. 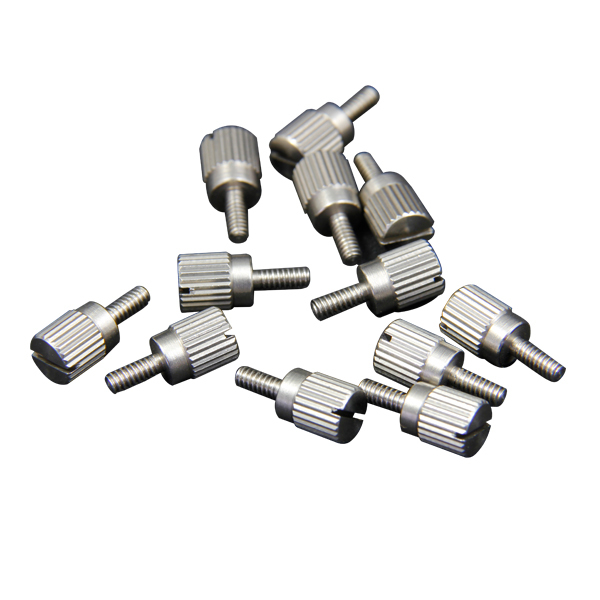 This enables both instrument and line level signals to easily be interfaced without the need for a typical level reducing pad. 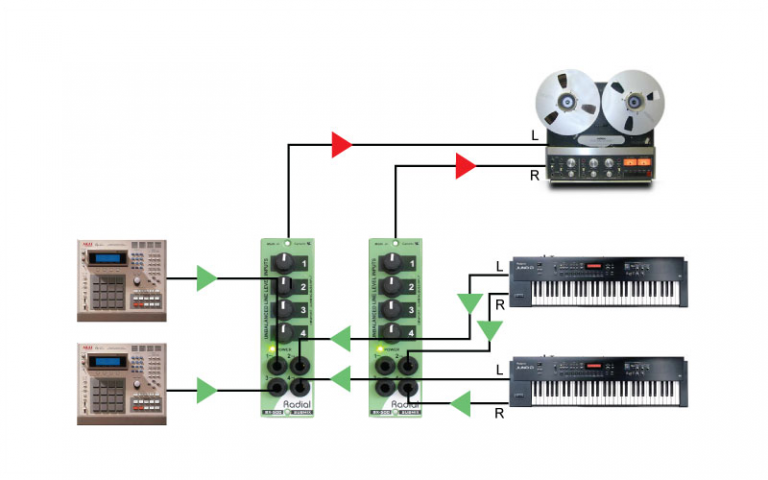 This makes the Submix ideally suited for summing keyboards, samplers, drum machines, and any audio playback sources in the studio, managing multiple signals without introducing noise. The Submix is the perfect little mixer to mix keyboards into your recording system. 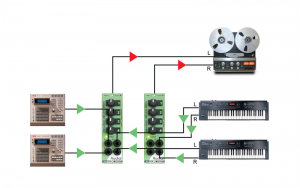 Use two together for stereo by sending the left outputs to one and the right outputs to the other. No matter how big the studio, there never seem to be enough handy inputs! 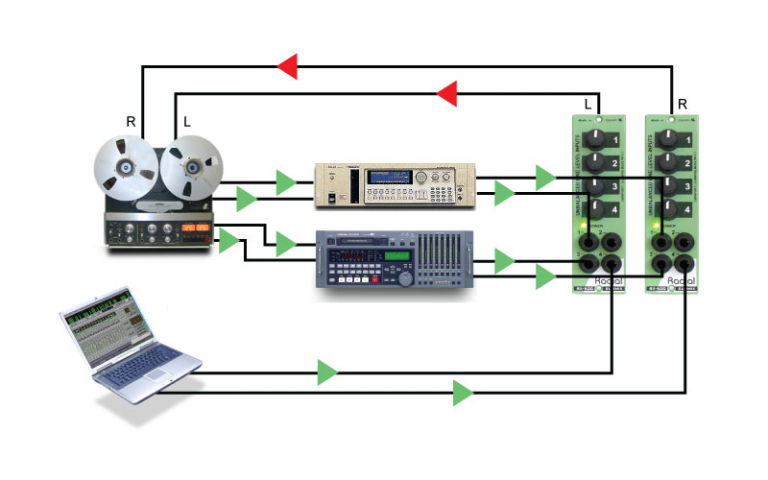 The Submix makes it easy to bring tape returns and stereo feeds into your 500 series rack. 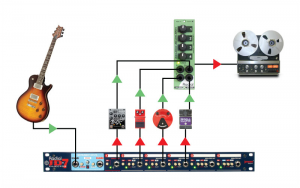 Just plug in and set the levels! 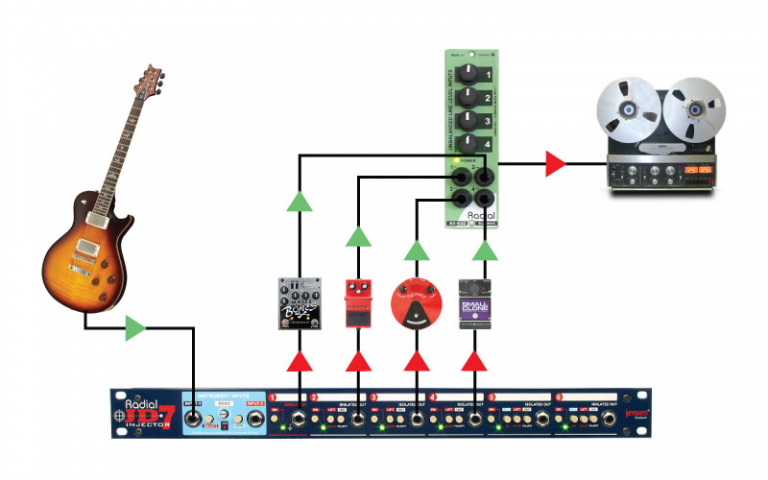 Use the Submix as an effects return when combining multiple pedals. 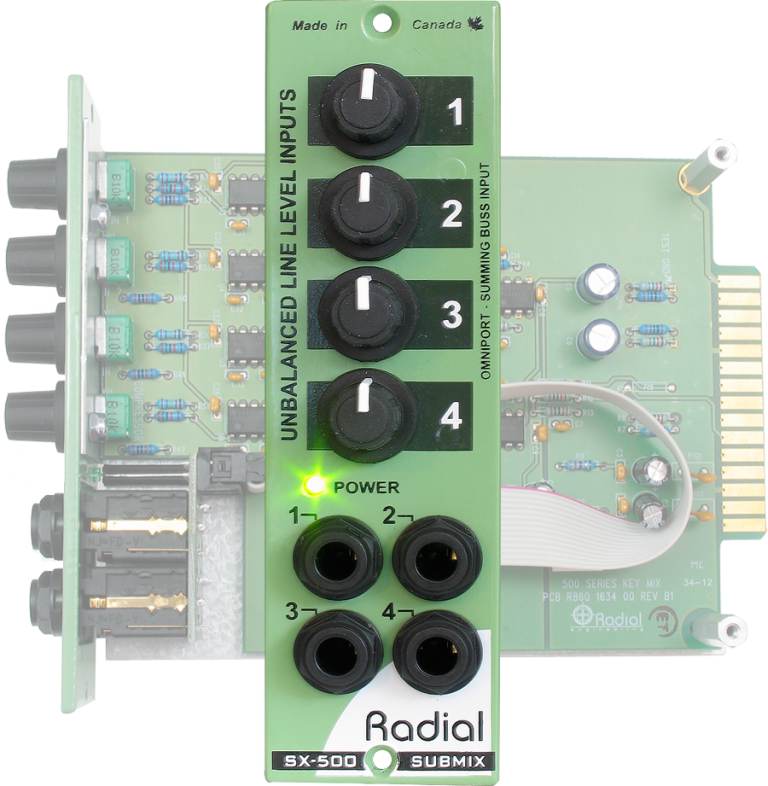 It works with guitar pedals, line level devices or use it to record instruments.